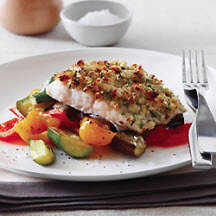 CooksRecipes has quality, kitchen-tested recipes for baked seafood dishes that you can count on for successful deliciousness. 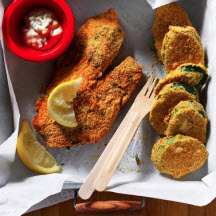 Get the crisp deliciousness of classic fish and chips without the heaviness and fat from frying. Trying to eat healthy but still want flavorful food? 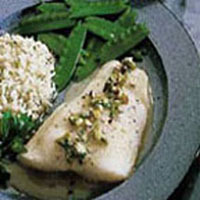 These tasty fish fillets will keep you from feeling deprived.